Rural road safety is more important than ever as we start the fall harvest. With 55% of the nation’s roadway fatalities occurring on rural roads, this is a major concern farmers face each year. 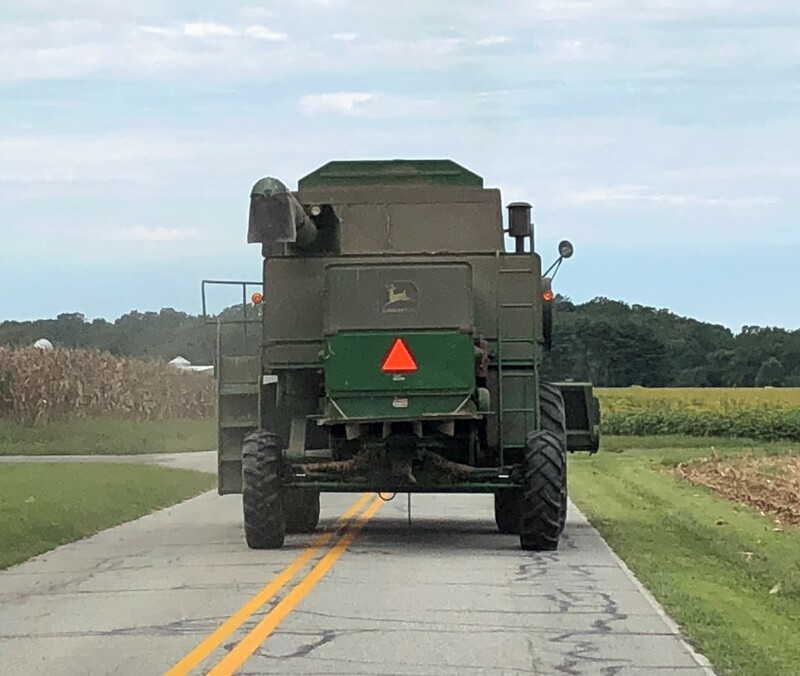 Through the support of Governor Larry Hogan, Maryland Farm Bureau has been working with the State Highway Administration and the Maryland Department of Agriculture to carry out a farm road safety caution campaign to last through November. Here is a video of MFB President Chuck Fry discussing rural road safety during harvest season. MFB, MDA, and SHA held a press conference at MFB headquarters on Thursday, September 27th to kick-off the caution campaign. The event was recorded live on our Facebook page. Here are some testimonies and claims of collisions related to farm equipment. Farmers follow special practices to keep themselves and other drivers safe while on the road. Slow-moving vehicle signs are one of those practices intended only for farm equipment.